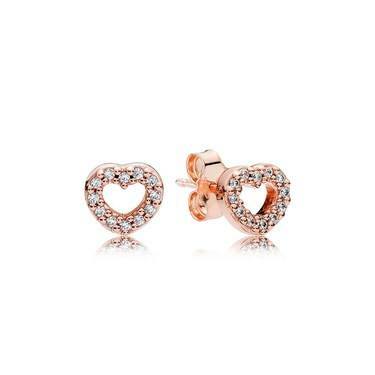 Add a touch of romance to your look with these stunning heart-shaped PANDORA stud earrings. Hand polished using the PANDORA Rose technique these earrings are perfectly on trend this season. PANDORA Rose -A unique blend of metals combined to create the feminine, warm look of this blush-hued jewellery.